On the 30th of August 2013 Waltons and Stonebridge City Farm held an official opening for the ‘Waltons Education Room’. The education room is based on the farm and was donated by Waltons to provide an indoor space for children to learn for free! 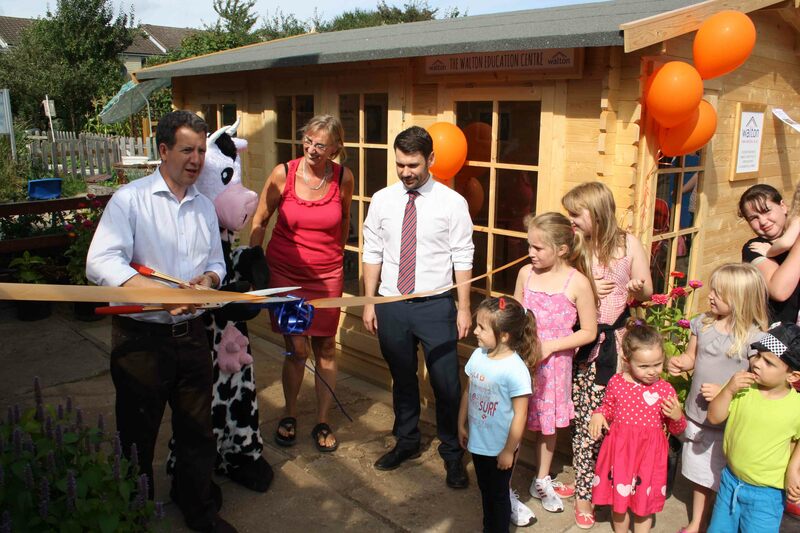 The official opening included a visit from Chris Leslie MP and an official ribbon cutting. The farm’s mascot Ermentrude the Cow was also there to help celebrate the farm’s latest building. The new education room will be used for the farm’s very popular animal handling classes and will help the farm provide fun, free activities for the local community. The farm had a free space for classes but because it was not sheltered many classes had to be cancelled due to poor weather conditions. We decided to donate one of our popular log cabins; the 4m x 3m Waltons Home Office Director Cabin was the perfect building and provides plenty of indoor space for children’s classes. We also decided to help the farm by donating an 8’ x 6’ Pent Tongue and Groove Shed too. On the 7th and 8th of August a Walton’s installation team were on the farm to install the log cabin and the shed. Our professional installation team installed both buildings on the farm with plenty of time to spare. Here at Waltons we like to help local charities and organisations. In early June we were on the lookout for a local charity in Nottingham we could help. Our office has been based in Nottingham for the last 3 years and we felt it was about time we gave back to the local community. 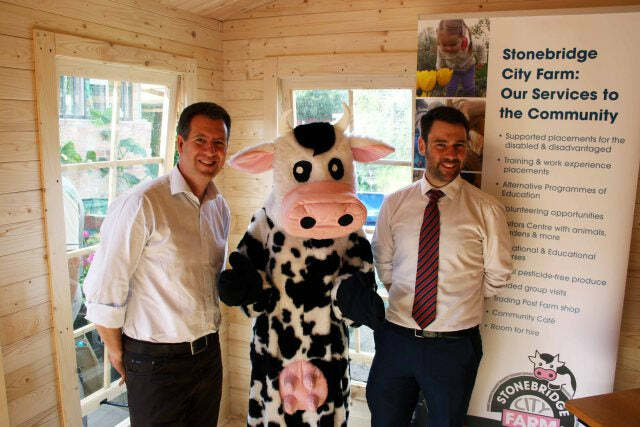 Based close to our office is local charity Stonebridge City Farm. This farm is located just 5 minutes from the city centre and offers a free, green space for families and the local community to enjoy. The farm relies on local donations and volunteers. The city centre farm has a large working growing area where plants, vegetables, fruit and honey are produced to sell to the local community. The farm also features a large range of farm animals like horses, sheep and turkeys! 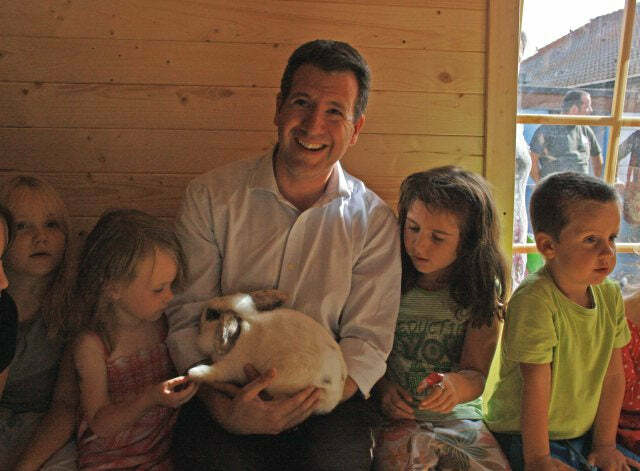 Chris Leslie MP and local children meeting one of the farm's rabbits! The Official Opening of The Waltons Education Room by Waltons is licensed under a Creative Commons Attribution-NonCommercial-ShareAlike 4.0 International License.